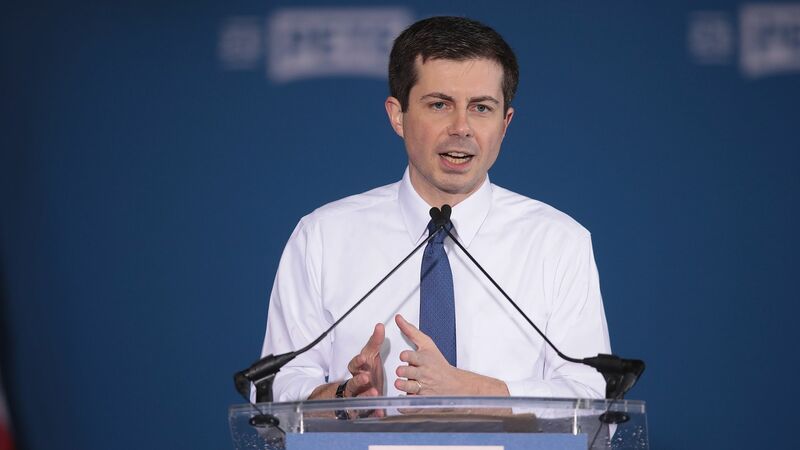 Democratic presidential hopeful Pete Buttigieg said on MSNBC's "The Rachel Maddow Show" Monday that he took a "leap of faith" by coming out at age 33 before the South Bend, Indiana, mayor's re-election in 2014. QuoteThere’s this war that breaks out inside a lot of people when they realize that they might be something they’re afraid of. It took me a very long time to resolve that." Details: On the show, host Rachel Maddow noted she and the 37-year-old were both Rhodes Scholars, but she was already openly gay before she went through college and the scholarship selection process. "It would have killed me to be closeted for that long," she said. He agreed it was "really hard" and said he consulted with others before coming out. "I did make sure, as a kind of final way of coming out to myself, to come out to at least a couple of people in my life before I took office because I knew that I didn’t want to have that psychological pressure of at least not being out to somebody." The turning point: The Navy veteran said it was his deployment to Afghanistan that put him "over the top." He realized you only get to be one person. "You don’t know how long you have on this Earth, and by the time I came back, I realized, 'I gotta do something,'" he said.